Presented by #1 bestselling author, J.R. Rain. An epic love story spanning time and space...and everything in-between. How far would you go to find true love? Do you believe love is strong enough to defy the laws of time? Brielle Eden doesn’t know what to believe. She wakes from a coma and inexplicably finds herself in the psychiatric ward of a mysterious Parisian hospital with no memory of how she came to be there. She can’t fathom why one of the nurses would want to kill her, or why the psychiatrist in charge of her care thinks she stole the identity of a recently murdered young woman. And just who is this god-like man, whom only she can see and hear? Is he a friend or foe? His voice haunts her every waking moment. Has Brielle lost her ability to comprehend between reality and what is real? As she struggles to restore her lost memories, she vaguely recalls a love that was beyond perfect, beyond all expectations. Is this a real memory or just wishful thinking? Or could it simply be a manifestation of her amnesia? 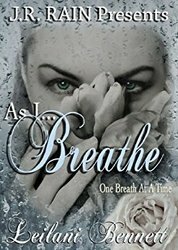 One prominent memory grips Brielle’s conscience, a secret she holds close to her vest; one that could change life as we know it. Was this what triggered her world to slip away? What will become of her if this covert memory is real? Journey into the rift with Brielle as she forges the path to her true destiny.